The objective of the programme was to strengthen state capacities in Guatemala for the prevention and reduction of violence, supporting institutions at national level and locally in the metropolitan area of San Salvador. The intervention was designed as an action to promote citizen security1 in San Salvador, focusing on some of the most dangerous areas in the city and specifically on 16 communities in the V and VI districts of the San Salvador municipality. In these areas, which are classed as “red zones”, the programme encouraged an alternative to the traditional method of controlling violence, by supporting the local government and the community structure, and by reinforcing human relationships as a means of preventing conflict. Activities included providing support and technical assistance for the publication and dissemination of the ‘National Policy on Justice and Public Safety’, promoting a human rights focus as a way of preventing violence and building social peace. The programme supported the creation of the National Information System and the Subsystem on Violence against Women, as well as municipal agreements to institutionalise the actions in the Municipal Plan for Coexistence, Mediation and Security. These actions contributed to the establishment of national information systems and municipal mechanisms to identify, detect and prevent public violence and particularly violence against women. Meanwhile, opportunities for productive development were created for young people at risk of social exclusion, through the provision of seed capital to 35 groups of entrepreneurs. The aim of this case study is to showcase learning, results and practical examples from this experience so they can be used to reinforce awareness of peacebuilding and conflict prevention programmes. In its broadest sense, citizen security is a social situation where citizens are not at risk or in danger; in other words, they can freely exercise their rights and liberties without facing any obstacles. In the last decade El Salvador has repeatedly been described as one of the most violent countries in the world. The homicide rate reached an average of 55 murders per 100,000 people between 2002 and 2012, which is more than double the average rate for Latin America and more than three times the average global figure. Moreover, half of Salvadorans (49.3 per cent) consider crime and insecurity to be the main national problem, followed by the financial situation (46 per cent). However, in recent years a noticeable drop in homicides and violence has been seen. This is linked, among other things, to a process of dialogue and a truce agreed between leaders of the country’s two main gangs (Barrio 18 and Mara Salvatrucha) who are currently detained in prison. This truce commenced on 8 March 2012 under the leadership of the Catholic Church and the national government. Although the San Salvador municipality has the country’s highest indices of human development in relative terms, its general background context must be taken into account. 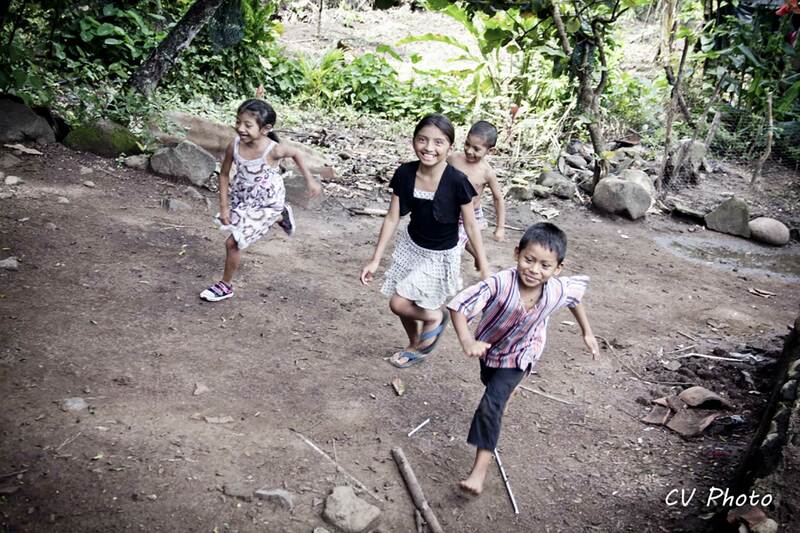 In El Salvador around half the population is below the poverty line and the level of social inequality is among the highest in the region, with the richest 20 per cent receiving 46 per cent of the national income while the poorest 20 per cent receives barely 6 per cent of the national income. When these figures are expressed at regional level, it explains how San Salvador has a considerable proportion of people and households in slums. The San Salvador city council is made up of six districts. The programme focused its actions on Districts V and VI. A census was carried out under the programme framework to ensure the availability of up-to-date records for the target population, in order to have a detailed understanding of these communities. This information facilitated an understanding of the nature of the communities and families and focused the programme’s actions. This investigation found that family incomes for 68 per cent of households in the V district did not exceed 400 dollars per month, while in the VI district 90 per cent of households did not have incomes above this figure. Violence has had a negative impact on people’s quality of life, damaging the social structure and incurring high human and economic costs. Strengthening the capacity and effectiveness of State institutions and civil society organizations to prevent and reduce violence. 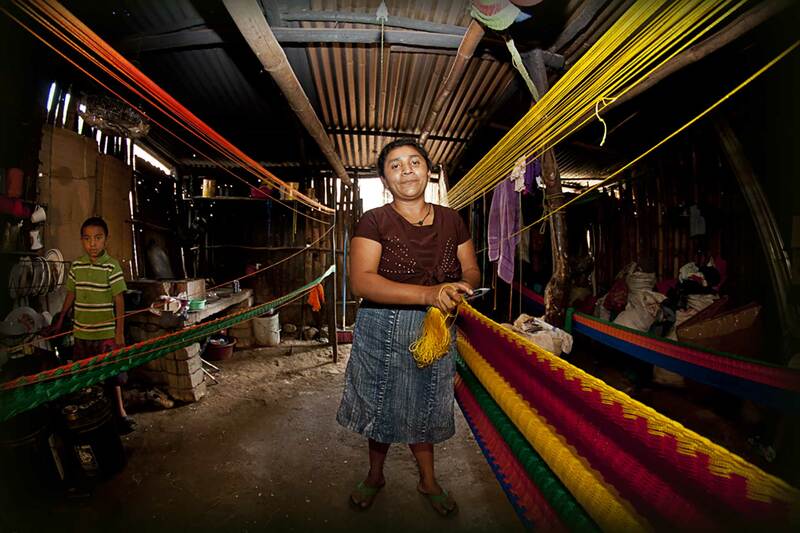 Creating safe, sustainable and inclusive public spaces to contribute to the reconstruction of the social fabric in San Salvador. Increasing the capacities of young people in the San Salvador municipality and their opportunities for personal and community development. In the first instance the programme carried out a census in the V and VI districts of San Salvador to ensure the availability of up-to-date records for the target population. This survey generated both quantitative and qualitative information that proved to be key for making sound decisions during the implementation. In this regard, at national level the Metropolitan Observatory was strengthened, under the management of the San Salvador Planning Office. Training on basic aspects of local information management was given to 28 technicians from the Metropolitan Observatory and the municipal observatories. An audio-visual and informatics team was made available to the Metropolitan Observatory to facilitate the handling of statistical information, and a Publicity Plan was developed with the aim of raising the visibility and promoting the work of the Metropolitan Observatory. In addition, 21 reports were produced on the status of citizen security in the San Salvador metropolitan area. One of the first outcomes of the programme with regard to institutional strengthening was the creation and Municipal Council’s approval of the Municipal Policy on Coexistence, Mediation and Security. 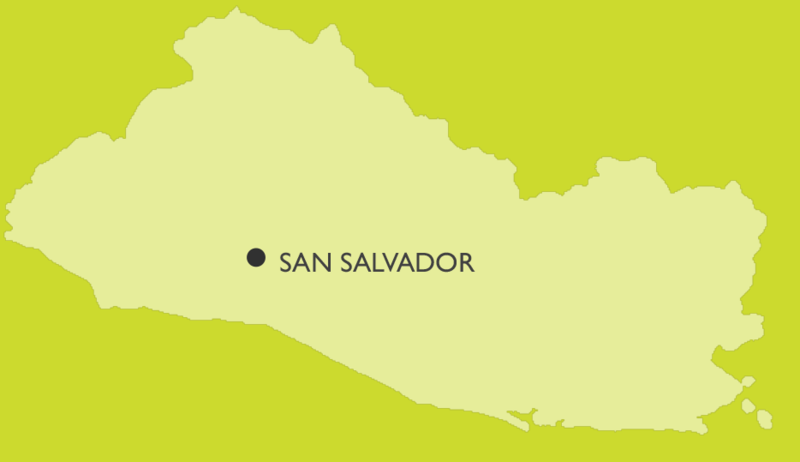 This policy set out to establish the conceptual and methodological bases and create conditions that would contribute to promoting coexistence, mediation and citizen security for the inhabitants of the San Salvador Municipality, with a view to fostering human development and improving the quality of life. This political framework, along with the analysis carried out at the start of the programme, facilitated the development of the municipal Plan on coexistence, mediation and security, based on providing a response and finding solutions to security threats in Districts V and VI of San Salvador. Another initiative was the creation of an Observatory for Citizen Security, which was proposed as an exercise in citizen monitoring of policies on public security and coexistence. The objective of the observatory was to contribute to generating good-quality knowledge and monitoring public policies, as well as to disseminate information and generate debate with an informed public. Ultimately, the intention of this observatory was to become a tool to stimulate the active participation of civil society in the search for more effective solutions to insecurity, and thus contribute to the consolidation of democracy and a respect for rights and human development. At the end of the programme, the Citizen’s Observatory carried out the first national victimisation survey and produced 16 individual reports for the San Salvador metropolitan area. In order to strengthen institutional capacities, the National Policy on Justice, Security and Coexistence was drawn up and approved, providing a regulatory framework for actions on citizen security and violence prevention in El Salvador. The National Policy included five key areas: 1) control and suppression of crime; 2) social prevention of violence and crime; 3) sentencing and taking measures (sanctioning, rehabilitation and social reinsertion); 4) social reparation for crimes and victim support; and 5) institutional and legal reform. In conjunction with this policy, five national strategies were designed for the prevention and reduction of violence, with one specifically targeting armed violence in the San Salvador municipality. At the same time, support was provided to the municipalities by carrying out a review of the National Strategy on the Prevention of Violence, which proposed a methodology for managing citizen security based on lessons learned from the programme during its implementation in the San Salvador municipality. This activity was carried out in cooperation with the United States Agency for International Development (USAID). A Participative National Plan on the Prevention of Violence and Promotion of Citizen Security was also formulated, with a gender perspective and a focus on rights. An agreement was made to design and implement a knowledge management strategy, with the aim of encouraging informed debate and facilitating an understanding of equality values within society. Particular emphasis was placed on opening up the topic of gender-based violence for public debate. Technical support was provided for setting up the Council for the Management of Violence Prevention, under the coordination of the Ministry of Justice and Public Safety. This council is made up of ministers from the departments of Governance, Health, Education, Economy and Work, the President’s Technical Secretariat, the Salvadoran Institute for the Integrated Development of Children and Adolescents, the National Youth Institute, the Social Investment Fund for Local Development and the Salvadoran Institute for Women’s Development. The council developed a draft bill to create the National Prevention System. Another contribution to the national legislative framework was the provision of technical support for producing the document ‘Conceptualisation of violence and crime prevention’, which forms the conceptual focus for the work on violence and crime prevention. This document was discussed and endorsed by the council for the management of violence prevention as a guiding instrument for defining the plans, programmes and strategies to be implemented regionally. The national agenda included strengthening national capacities in the justice sector for dealing with violence against women. Two strategic initiatives were supported within this framework. The first addressed training for staff involved in dealing with women who are victims of gender-based violence and resulted in the launch of the diploma ‘Improving the response to and investigation of violence against women’, with an emphasis on sexual violence. The diploma included specialised training for 80 staff (75 per cent of whom were women) from the schools in the justice sector, and this was actively extended via forums to more than 500 male and female staff. Furthermore, around 2,398 young people participated and received information on rights, responsibilities, social prevention of violence, and the culture of peace, through purpose-made documentaries. The availability of the new training tools generated in this process will enable various institutions in the Justice and related sectors to implement training programmes on the subject using a structured methodological basis. It is hoped that this will have a substantial impact on reducing impunity and violence against women. Meanwhile, the programme secured the participation of 29 central government institutions, 15 local governments, four municipal institutions and five NGOs in the Committees on Coexistence and Citizen Security. Following the programme, 48 per cent of the residents in the San Salvador municipality were aware of these committees. Three inter-institutional committees were also set up. 2 Four areas of work were proposed: Promotion of Community Organization and Participation; Mediation and Alternative Resolution of Conflicts; Dealing with Risk Factors; and Institutional Strengthening around Coexistence, Mediation and Citizen Security. A crime prevention strategy that included various activities was implemented within the framework of capacity building. At local level, the objective of setting up the Security Commission in the San Salvador municipality was to promote joint working and focus the actions of the Executive and municipal government institutions who deal with security, in order to achieve greater effectiveness in crime prevention. Another activity was the establishment of three public service offices by the National Police and the Metropolitan Agents Corps, to carry out joint patrols in the historic city centre and to prevent crimes against property. A significant result at national level was the reactivation of the Technical Committee on Arms Control, which made substantial advances in the registration, control and mapping of weapons. Based on this experience, a guidebook was produced on the implementation of municipal firearms bans. 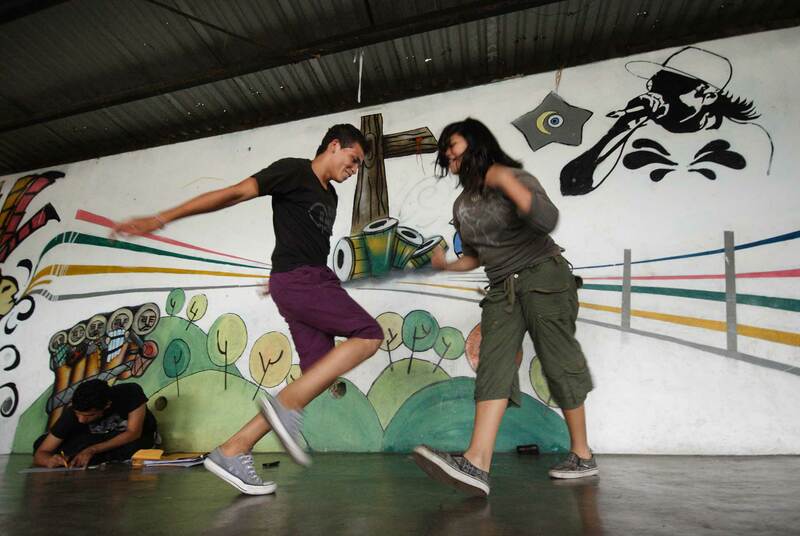 In order to increase the capacities of young people in San Salvador and their opportunities for personal and community development, spaces for dialogue and community participation for young people were created and educational opportunities were increased. Opportunities for young people’s insertion into the work force were also strengthened. Under this strategy, work was done with nine school centres, training 291 teachers and 1,423 young people in conflict prevention and mediation. To complement this action, the Identification and Educational Insertion Programme for children and adolescents was designed. In the programme’s final phase, 1,062 children, adolescents and young people who did not attend school were identified and integrated. In order to increase opportunities for technical training in personal and community development for young people, the programme introduced a Model for the Integration of Technical Training and Productive Insertion Services. Using this model, training and support was provided for 690 young men and women, 50 per cent of whom found work during this stage of the programme. Another important initiative in this area was promoting and establishing enterprise initiatives. An open call was launched to obtain seed capital for this purpose. Of the 35 business plans that were approved, 33 businesses received non-reimbursable funding. These businesses mainly consisted of services (9), therapeutic clinics (8), beauty salons (6), food preparation (5), manufacturing products (4) and sewing and handicrafts (3). In favour of contributing to the reconstruction of the social fabric in San Salvador, the programme created safe, sustainable and inclusive public spaces through the signing of agreements for the use of these spaces and the recovery of selected critical areas, promoting a peaceful culture of coexistence at the same time. To achieve this, work was done on awareness of and compliance with rules on coexistence, on peaceful resolution of conflicts and on greater communication and empathy between citizens. To promote these practices an ongoing educational campaign on communication and sensitisation was carried out. The participative strategy developed by the programme facilitated the creation of 12 safe, sustainable and inclusive public spaces for citizens. It is important to mention that it was necessary to buy and distribute 450 lights and 124 buckets of paint to reduce the sense of fear in some areas. Using these supplies, the community residents lit up dark spaces, painted murals and also decorated the walls of houses which were previously full of gang graffiti. Recreational services (sports and culture) were installed in 14 communities for the use of the resident population, with special mention going to the creation of the Municipal Olympic Youth Club within the Municipal Sports Programme for the Prevention of Violence. This initiative used sport as a creative tool to channel the energy of children and young people in activities that would encourage the formation of positive interpersonal relationships. One hundred community leaders were trained as referees in the disciplines of football, basketball, athletics and swimming, and were then employed by the San Salvador City Council to run sports events. Meanwhile, support was given to consolidating conflict mediation initiatives between the San Salvador City Council and the Attorney General’s Office, and community offices for Conflict Mediation will be set up. Lastly, 93.6 per cent of all the people questioned on their perception of citizen security at the start of the programme felt that the San Salvador municipality was completely unsafe or not very safe. In the final year this figure decreased to 74 per cent. The fear maps produced in the selected communities also indicated this change. For example, the exercise carried out in the Colonia IVU neighbourhood can be used as a reference. When comparing the maps, a change can be seen in the area of the public spaces and a difference in the sectors that were identified as areas of fear. The sale of alcohol and drugs and the presence of gangs decreased, according to the local residents who participated in drawing up the map. The number of dark spaces and the amount of rubbish in the streets and between buildings was reduced. In general, it can be seen that the areas identified as areas of fear decreased after the programme. Communication between the various implementation partners continued to strengthen throughout the execution period. The programme represented a meeting point where not only the differences between the various institutions were made clear but also their points of agreement and convergence. For many of the partners the programme became a meeting and negotiation point for national and local agencies, and contributed towards breaking the highly polarised scenario where violence prevention strategies very often tend to be linked with the different party political options and do not become State policies with the necessary continuity to achieve their aims. Although the participation of different United Nations agencies was found to be a very effective multidimensional methodology in terms of results, a joint administrative agenda must be set up defining shared channels and procedures in order to reduce costs and manage the project more efficiently. There needs to be a guarantee from the outset that programmes have a well-defined communication strategy between the stakeholders, which affords all of the recipients a deeper understanding than is provided by occasional promotional events. Another challenge was coordinating the time frames for technical and financial execution within a single planning framework and with interrelated activities. This required work on defining critical pathways which would provide information on the time frames and conditions for programme implementation, taking into account the agencies’ own procedures and the response capacities of partners and beneficiaries. Practical exercises such as having a single acquisition plan proved useful to mitigate this limitation. The start of the programme coincided with the change in local and national government. This situation meant a restructuring of governments (new organograms, job holders, technicians, visions, lines of work, priorities), which led to a process of examination and validation of the outcomes and outputs proposed by the programme, to allow appropriate alignment with local and national priorities. This situation manifested itself in different ways during the programme implementation (changes in job holders, institutional changes). The complexity of working on peacebuilding in the context of a very high intensity armed conflict limited the impact achieved by the programme. Although the effects were evident and many of them were tangible, a much longer action time frame is needed to consolidate new cultural, social and economic paradigms. Based on this premise, it can be stated that important changes were achieved which show positive signs of a strengthening of the democratic institutional environment, the peaceful resolution of conflicts and the promotion of coexistence and reconciliation. The role of the UN agencies was key in the search for alliances and interactions based on dialogue and reaching agreements. The programme constitutes an example of the capacity and impact of the UN when its agencies work in a coordinated multidimensional way. Each agency contributed its own knowledge and experience. However, in order for the intervention to be successful it is very important for the roles of the different agencies to be made clear and for agreements to be established around the common objectives. This will provide mutual learning for the agencies and linked institutions. When building this coordination and interaction space in polarised environments with high political tension between the stakeholders it is important to have mediation or facilitation from organizations such as the United Nations agencies. The construction of dialogue spaces that allow agreements to be made is positively valued by the parties, especially if these spaces are concrete and operational and facilitate the achievement of common and individual objectives. Programme design is important. In programmes that deal with conflict situations, the viability of strategies cannot be taken for granted. Programmes that are designed without full prior understanding of the reality lead to implementation problems that will most likely necessitate a redesign. It is essential to carry out an analysis prior to the intervention in order to understand the strengths, weaknesses, opportunities and threats of the actual situation. Accurate information is key to developing public policies and making sound decisions. This analysis must be participative and prospective, since it will define priorities and establish lines of work, and will allow the effort to be evaluated and its impact measured in the near future. In general, when looking to develop a model for citizen security at municipal level, a focus on the local area and population must be guaranteed. This helps to deal with the factors associated with specific situations of insecurity, and to determine ad hoc strategies, optimise resources and achieve greater impact. Furthermore, this type of action allows the identification of the most effective strategies and the specific contribution each one has made to reducing and preventing violence, as well as to promoting coexistence and security. When designing programmes it is important to avoid actions that would substitute government actions. On the contrary, actions must be aimed at strengthening public institutions and be designed to create synergies between different stakeholders. Community participation in the planning and implementation processes facilitates the ownership and sustainability of these processes. It is important to respect and appropriately plan for the different processes and time frames of each of the parties to avoid overload of activities. The governance model for programmes must consider limiting the number of members on each committee to facilitate achieving consensus and making operational decisions, and must clearly define the roles of each of the organizations to avoid duplication. Experience from the programme showed that the prevention of violence is possible if young people are offered a development alternative. Young people with more training in leadership and conflict management skills, who have better knowledge and awareness on how to prevent violence within the family, will help their current and future situation by breaking the circle of violence in the family and in public spaces. It is important to emphasise that citizen security is a combination of both the objective degree of insecurity (i.e. crimes which have been committed in the municipality over a given time period) and the subjective insecurity or perception of risk which people have. In general, levels of objective insecurity are calculated using crime statistics known to the citizen security institutions (police, public prosecutor’s office, judicial body). However, in order to have a better idea of the reality of insecurity, it is necessary to contrast these statistics with the victimisation indexes usually provided by surveys on perception and victimisation. The practices promoted can serve as a point of reference for further projects on conflict prevention and peacebuilding carried out in El Salvador, and are also applicable to other countries.